And the clouds clear on the new day. I've been having some issues IRL lately, nearly lost my house, lost my job, starved myself out of depression, landed in the hospital, the list goes on, but lately, things have gotten better, I have a new job, i kept my house, and im ready to move onto the next chapter in my life. I've been in such a good mood lately that i've taken to lounging on rocks. 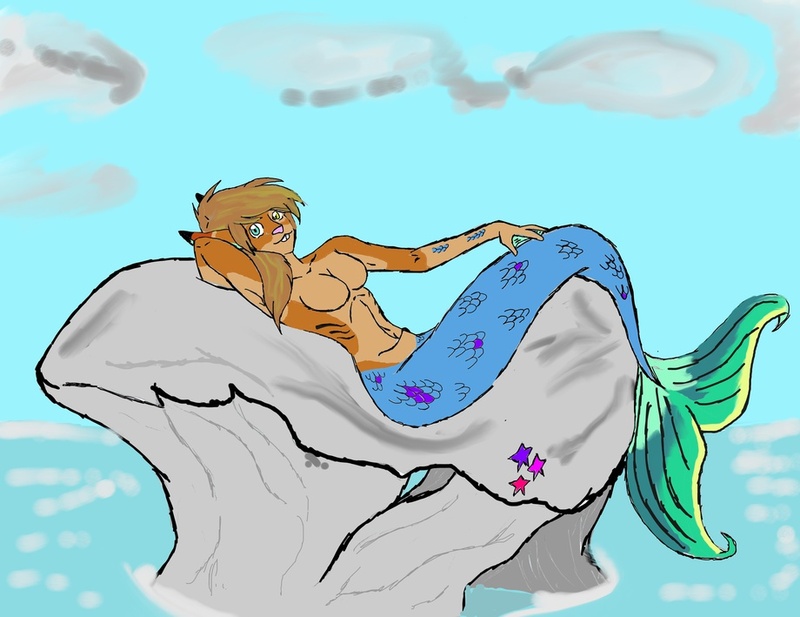 the pose is based on the ever so classy Neverland Mermaids.